North Pacific Union Conference delegates re-elected officers Max C. Torkelsen II (president), John Loor Jr. (executive secretary), and Mark Remboldt (treasurer) at the quinquennial constituency session held Sunday, Sept. 11, on the campus of Walla Walla University in College Place, Wash. On this 10th anniversary of the Sept. 11 tragedies, delegates spent time in commemorative reflection of those events, while looking to the Adventist mission ahead. In conjunction with the NPUC gathering, WWU also convened its constituency session during a portion of the afternoon and affirmed reports from WWU administrators. Photos of both the constituency session and the Northwest Adventist Leadership Convention, which preceded the session, are available courtesy of Heidi Martella and the Washington Conference HERE. Gordon Pifher has accepted an invitation of the North Pacific Union Conference executive committee to become director of stewardship, leadership and innovation. Currently serving as president of the British Columbia Conference, Pifher and his wife, Marie, will return to the Northwest where they worked for a number of years. He previously served as Upper Columbia Conference youth and family life director, Walla Walla College associate pastor, and most recently, from 1997–2005, UCC executive secretary. David Freedman has joined the Ore gon Conference as vice president of finance. He has spent the past nine years in a similar position at the Texico Conference based in Corrales, N.M. He has also filled treasurer positions in the Illinois and Alaska conferences. Freedman and his wife, Ann, plan to make the physical transition to Oregon sometime this month. This move not only brings him back to the Northwest, but adds another Freedman to the Adventist work on the West Coast. His brother, John, is Washington Conference president. While awaiting Freedman’s relocation, Dale Beaulieu has ably provided interim financial guidance for the conference. 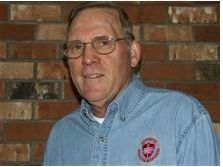 Larry Mays, Upper Columbia Conference pastor, will add the responsibilities of North Pacific Union Conference disaster response coordinator to his ongoing pastoral role. He takes over for Doug Venn, who is “retiring” from this volunteer position. The important function is provided in part by a small subsidy from each conference to coordinate this critical area of church readiness and community outreach.